CEO Rodney O'Neal leads a leaner Delphi. He will speak Jan. 13. 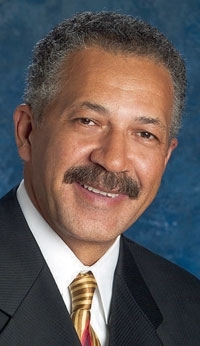 Rodney O'Neal, CEO of Delphi Corp., will be a featured speaker at the 2010 Automotive News World Congress in Detroit. He will speak Wednesday morning, Jan. 13. O'Neal, named CEO in January 2007, is responsible for leading and executing a leaner, more focused business plan at Delphi, which emerged in October from four years in Chapter 11. He has been part of Delphi's leadership since before the supplier was spun off from General Motors in 1998. O'Neal began his career at GM in 1971 as a student at Kettering University, which then was known as General Motors Institute and was affiliated with the automaker. After graduating, he held engineering and manufacturing positions in the United States, Portugal and Canada before being named general manager of Delphi Interior Systems and a vice president of GM in 1997. After the spinoff, O'Neal was named a vice president of Delphi. He became an executive vice president in 2000 and COO in 2005. The Automotive News World Congress will be Jan. 12-14 in Detroit during media week of the North American International Auto Show. The theme of this year's congress is "Navigating the New Automotive Epoch."